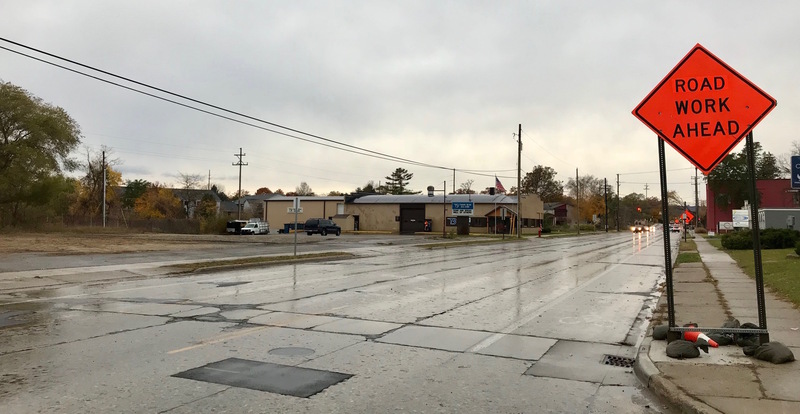 Traverse City commissioners Monday approved hiring local construction company Team Elmer's to take on two of the city’s biggest planned infrastructure projects, including the reconstruction of Eighth Street and an extensive sidewalk construction project in Traverse Heights neighborhood. The combined contracts for both projects total more than $7.3 million in construction work for 2019. Team Elmer's was the only bidder on the sidewalk project, and the lowest of two bidders on the Eighth Street project. In both cases, Team Elmer’s bid came in lower than the city’s anticipated costs, allowing for additional work to be completed as part of each project. For Eighth Street, the lower bid means city commissioners’ desire to have wider cycle tracks and sidewalks and larger canopy trees will be accommodated. With those project additions, Team Elmer’s contract is $4,202,718 for Eighth Street – more than $103,000 under budget. City Manager Marty Colburn told commissioners Monday construction on Eighth Street is tentatively scheduled to start May 6. In addition to Eighth Street, Team Elmer’s will oversee an extensive sidewalk construction project in Traverse Heights neighborhood. The company was the sole bidder on the project, which had an estimated cost of $3,483,840. Team Elmer’s bid was $3,047,519. The work, which is part of a larger citywide sidewalk project, will add more than 48,000 feet of new sidewalk to Traverse Heights neighborhood, including on Hannah, Boyd, Lincoln, Barlow, Grant, Bates, Kelley, Centre, Kinross, Fern, Carver, Boon, Garfield, and Hastings streets. Sidewalk infill is also planned for East Front Street between Munson Avenue and East Bay Boulevard and parts of Apache Pass and Indian Woods Drive.